CEEDS sponsors integrative projects that put students on the front lines of environmental decision making and action. Students work closely with faculty to identify an area of interest that will achieve their own academic goals while also benefiting the greater community. The Mill River flows through Smith’s campus and provides an opportunity for faculty and students to connect with a complex natural and cultural resource right in their own backyard. Paradise Pond is the result of water backing up behind a dam that in some form or another has been there since the 1670s. Smith students recreate around and on Paradise Pond, study its ecosystems and generally appreciate Smith’s waterfront landscape as integral to the Smith experience. Faculty in biological sciences, engineering, and geosciences conduct research on the vegetation, hydrology and sediment dynamics, and the architecture and landscape studies programs use this unique resource as site for field investigations, design projects and inspiration. Smith’s campus is a laboratory for learning, and the Mill River is a highly prized and valued component of our campus landscape. CEEDS is the integrating force for Smith’s diverse research and curricular work related to the Mill River. From monitoring the flow of water over the dam to mitigating invasive species and proposing a multi-use greenway along the banks of the Mill River, Smith faculty and students use the river to gain understanding and perspective on Smith’s geographical and cultural context. 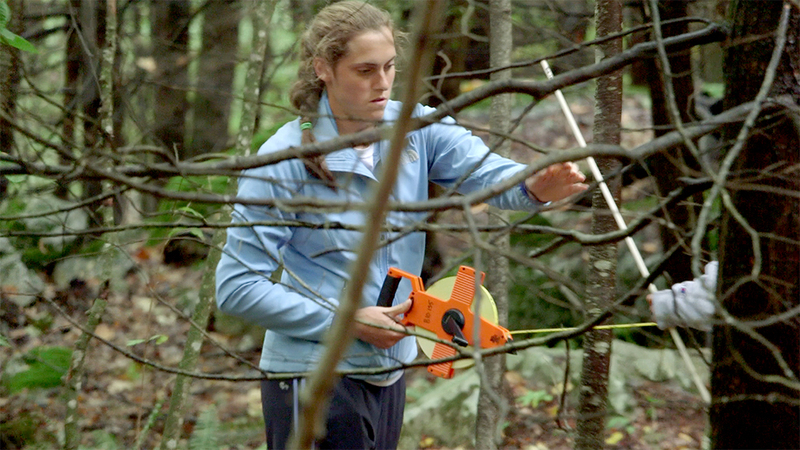 Students regularly conduct independent research projects related to the Mill River and Paradise Pond. 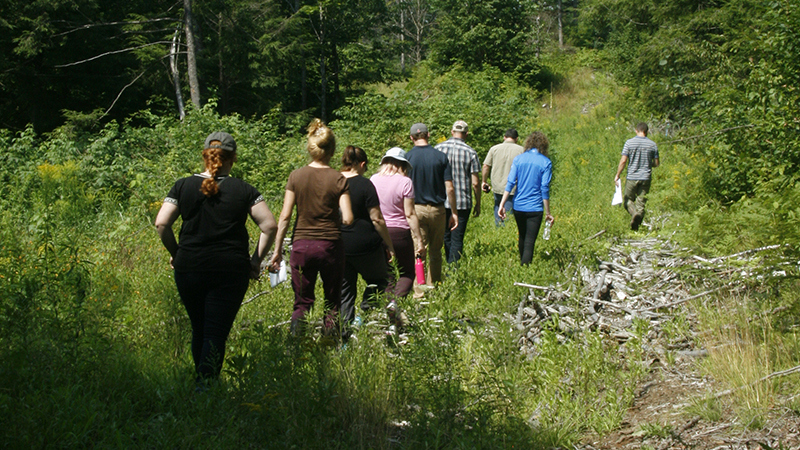 To date, projects include studying the distribution and dispersal of specific invasive plants, the mitigation of a variety of problematic invasive species, sediment accumulation and toxicity, and the industrial history of the Mill River. Students and faculty also work in support of the Mill River Greenway Initiative, a multipronged community effort to establish an ecological and recreational protected open space along the river from its mouth in Northampton to its headwaters in Goshen. Students are engaged with city and regional planners, citizen groups, non-profit environmental and planning organizations, and professional groups in an effort to establish the groundwork for the Mill River Greenway. Smith and four other leading liberal arts colleges have formed a pioneering collaborative that will allow the colleges to offset 46,000 megawatt hours per year of their collective electrical needs with electricity created at a new solar power facility to be built in Farmington, Maine. Amherst, Bowdoin, Hampshire, Smith and Williams colleges created a partnership that will result in the first collaborative purchase of New England-generated solar electricity by higher-education institutions. The Farmington solar project will produce enough electricity to power about 5,000 New England homes each year. Each of the five colleges will purchase a portion of this electricity to reduce their college’s carbon emissions from campus electricity use. Smith will purchase about 30% of its electricity through the project. This is all of the electricity that the college currently does not produce on site. Solar panels on Smith’s campus already provide the equivalent of 2 percent of Smith’s electric use, and the rest is generated by our co-gen plant. This will reduce our carbon footprint by 10% each year, bringing us closer to our goal of achieving net-zero greenhouse gas emissions by 2030. In order to meet our goal of being carbon neutral by 2030, the college needs to find a way to heat and cool its buildings without that doesn’t involve fossil fuels. Our current co-gen facility is highly efficient, but is fueled by natural gas. After its year long study, the Study Group on Climate Change recommended that the college pursue a plan to convert the central heating system to a ground-source heat exchange energy system. The SGCC worked with Integral Group, an engineering firm specializing in sustainability, to develop the Smith College Campus Decarbonization Study (link). This plan recommends a long-term approach in which the central heating plant is converted from one that burns fossil fuel to one that extracts heat from the ground and uses wind or solar electricity to power the system. Over the next four years, the college will conduct geological, engineering and financial analyses to refine this plan. These analyses will provide ample opportunities for staff, faculty and student involvement. We foresee opportunities for faculty teaching courses in engineering, physics, chemistry, environmental science and policy, landscape studies, economics, data sciences and statistics, computer science and even art and literature to be involved. This summer a test borehole will be drilled near the Athletic Fields in order to evaluate the soil, hydraulic characteristics, and thermal response. This will prove to a be a unique and fascinating learning opportunity for faculty and students in the geosciences department. The first phase of this process will be to conduct a pilot project through which the Field House is heated through ground source geothermal heat exchange. The Field House will serve as a demonstration site for the campus and greater community. Students in engineering courses have been learning about low temperature hot water district energy systems and geothermal heating. Several interns who have been deeply involved are now working with with Denise McKahn, faculty director of CEEDS and faculty member in engineering, to plan broader opportunities for student engagement with this process. They are planning an energy education program for K-12 students, with outreach focusing on elementary school students through young women in high school, in order to span the period of identity formation as STEM and energy leaders.